Google, the world search giant has launched its Android Market for users to download application along with the first Android phone, T-Mobile G1. With Android Market, users can easily download application to their Android phone. Besides downloading, the users allow to leave comments in order to help to rank the application. Currently, there are about 50 applications at Android Market for free download. The number of the application expected to increase when Google opens the Android Market to developers by next week, 27 Oct. The developers who like to join the Android Market need to register and pay a one time application fee for amount of $25. Once registered, they can upload their application and make it available to users without further validation or approval. 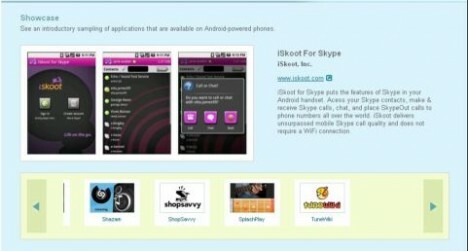 Beginning of Q1 2009, the developers will allow to charge the users on the application. The developer will get 70% of the revenue from each purchase, while the remaining amount will goes to carriers and billing statement fees (Not Google, who won’t take a single cent).